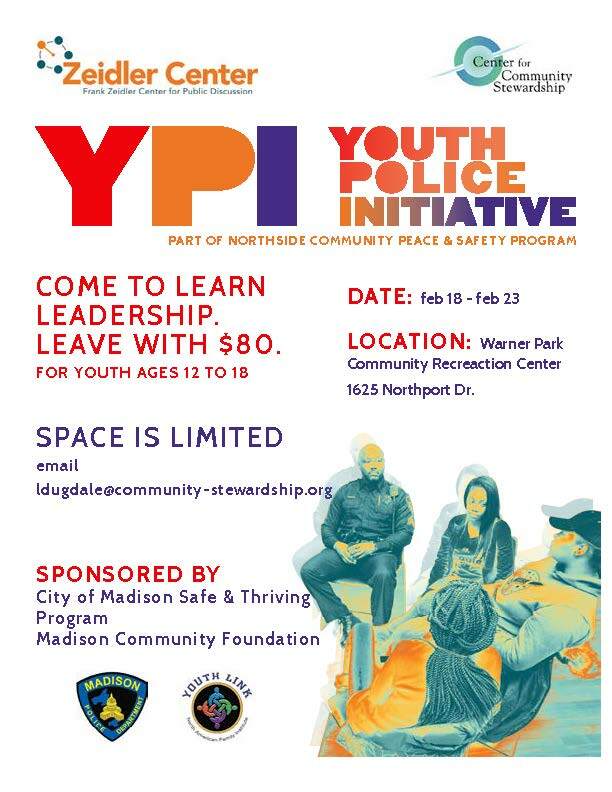 The City of Madison Safe & Thriving Program, Madison Community Foundation, Madison Police Department, Youth Link, Ziedler Center, and the Center for Community Stewardship collaborate to bring the Youth Police Initiative, part of the Northside Community Peace & Safety Program. Participants will learn leadership skills, and earn $80 at the end of the weeklong program. Open to youth, ages 12 to 18. Space is limited.